California might be in a crippling drought, but the state's residential real estate market is far from drying up. Indeed, whether it's the sizzling Silicon Valley tech market or high-flying Hollywood, California has long been the epicenter for some of America's priciest homes - specifically along California's long compelling coastline. 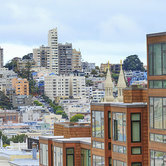 Seeing that California's nearly $2 trillion economy would make it the 10th-largest country based on 2012 gross domestic product figures, it's impossible to cover California's real estate market in one fell swoop. So why not start with the gorgeous and scenic Northern California market (we'll touch on Southern California in a subsequent installment). Here's a handful of some of the most exclusive residential golf and resort-style communities to visit. Sitting on 20,000 acres of privately protected pristine land, Santa Lucia Preserve is a high-end private golf club community with arguably one of the largest "backyards" anybody can boast. How else do you describe a private community that features a vast nature conservancy of 18,000 untouched acres? The Santa Lucia Preserve, comprised of only 300 homesites situated on 20,000 acres of land approximately the size of Manhattan, is the only community with a perpetually endowed 18,000-acre nature conservancy supporting a rich mosaic of coastal habitats. Globally recognized as a great biodiversity "hotspot," it's one of only six found in the United States. Nestled in the Santa Lucia Hills on the Monterey Peninsula, the Preserve was originally created to honor the land and host estate homes for individuals and families seeking an authentic and distinctive lifestyle in nature. A value system shaped by vast open spaces, abundant biodiversity, privacy and sustainable development puts the Preserve in high demand among those who identify with these virtues and seek an ultra-exclusive way of life. A world apart, yet not a world away, the gated community is just three miles from the quaint town of Carmel and seven miles from prestigious Pebble Beach - further adding to its luster and convenience. The Preserve is a haven for both full-time residents and those seeking the ultimate vacation home. The 300 homesites and an exquisite collection of award-winning homes are priced between $4 and 14 million; green design and sustainable building are highly encouraged. Besides the main feature of Mother Nature, Preserve homeowners and guests enjoy a host of world-class amenities, including 100 miles of hiking, biking and equestrian trails with access from every door as well as two private clubs: The Preserve Ranch Club and The Preserve Golf Club. The Preserve Ranch Club facilities include a multi-discipline Equestrian Center, two private dining venues (Hacienda and Polo Pools), three swimming pools, a water slide, a hot tub, two hard tennis courts, two Har-tru clay tennis courts, a Bocce court, a croquet court, an enclosed batting cage, a horseshoe pit, bikes and state-of-the-art Sports Center (fitness center with a wide variety of equipment and classes). 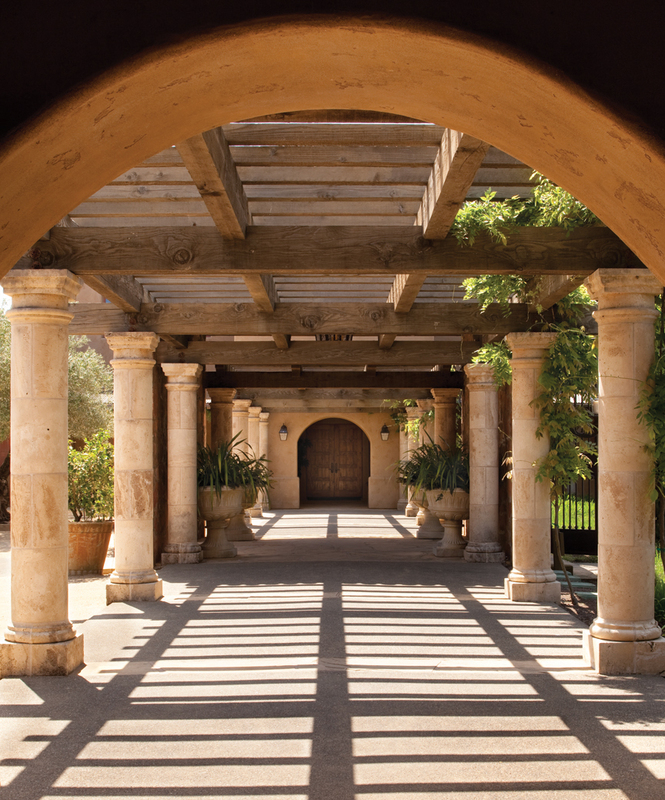 The Hacienda, a 1920s Spanish Colonial masterpiece, is the heart of the Preserve Ranch Club and serves as the community social center, hosting regular entertainment and culinary events. Members may utilize lodging for guests, which include nine rooms in the Hacienda and seven rooms in the Grays' Ranch House, ideal for family gatherings and reunions. Members and guests also enjoy the Hacienda pool, heated May through September. The Equestrian Center, open to riders of all disciplines and skill levels, offers three center-aisle barns with 30 owner stalls, a 150-by-260-foot main arena, a regulation dressage arena, a training round pen, an exercise track and a dozen irrigated pastures for daily turnout. 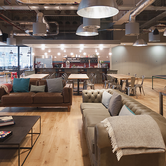 Full board is offered with daily care, exercise and 24-hour attention. 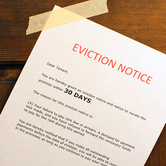 Several home sites also allow self-care boarding. Covering 365 acres, the Preserve Golf Club is home to a distinguished golf course designed by Tom Fazio, Mike Poellot and Sandy Tatum. Golfers can experience breathtaking views, the natural landscape and a challenging course, considered one of America's best courses by Golf Digest Magazine. 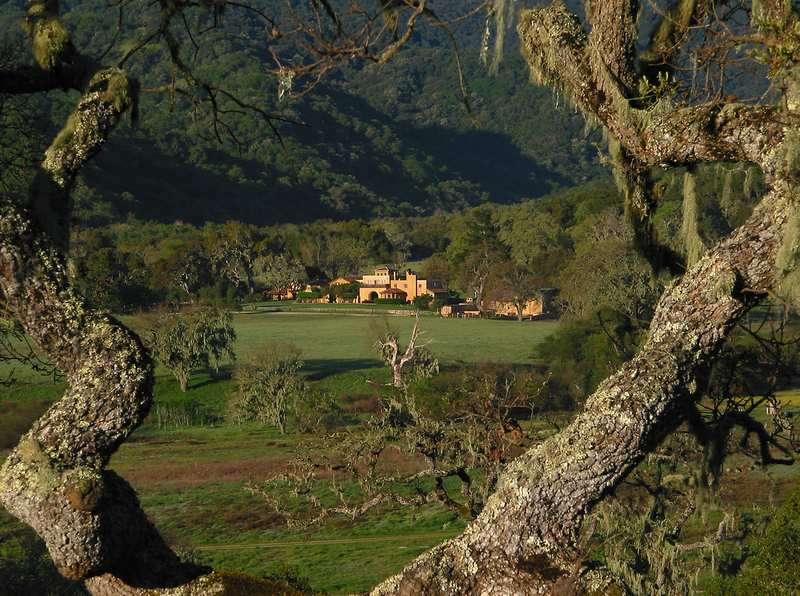 "For individuals and families seeking to step away from the rattling pace of today's world, dominated by media screens and noise, the Preserve beckons with a different kind of stimuli," said Mike Kelly, chief operating officer of the Santa Lucia Preserve. "Imagine the call of red-tailed hawks, a glimpse of a gray fox and the perfume of wildflowers. At the Preserve, the abundance of the natural world is met with premium modern amenities creating an ease of living and a distinctive feeling of community and reverence for what is most meaningful." If you're based in wine country, wine best be part of the lifestyle. 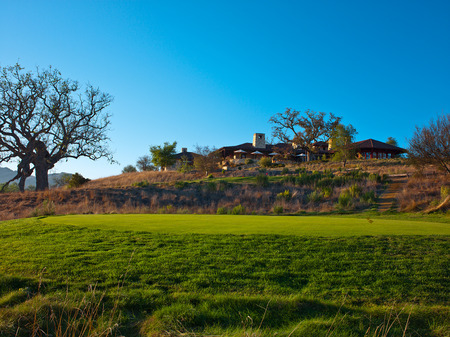 And one of the most exclusive private club communities for golfers and vintners is Mayacama. 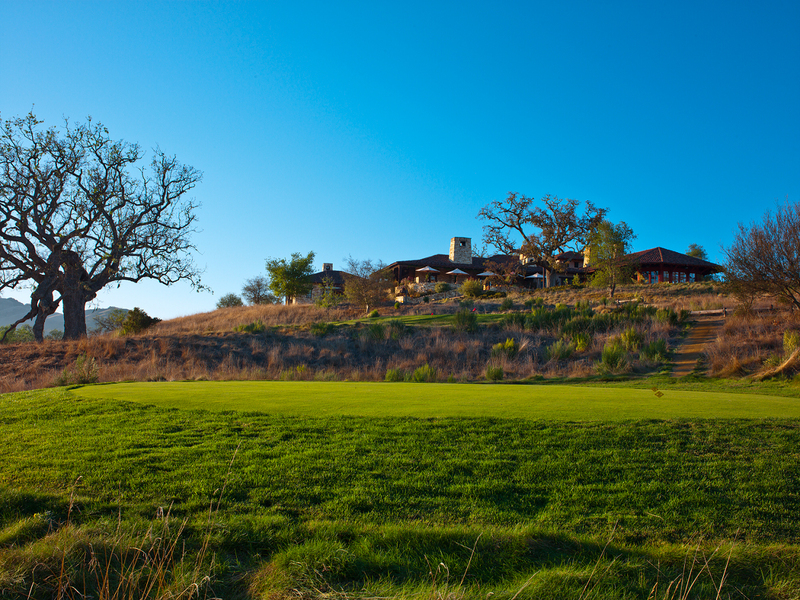 Set amongst 675 acres in picturesque Sonoma County, Mayacama is centered on a grand clubhouse and a championship Jack Nicklaus Signature golf course ranked among the best in America. Equally extraordinary is a wine program that includes 35 renowned vintners, all of which are fellow members. Other on-site amenities and services: tennis, swimming, bocce, a superb spa, a rich culinary program, a bustling social calendar and a robust juniors' program round out the resort-like experience. 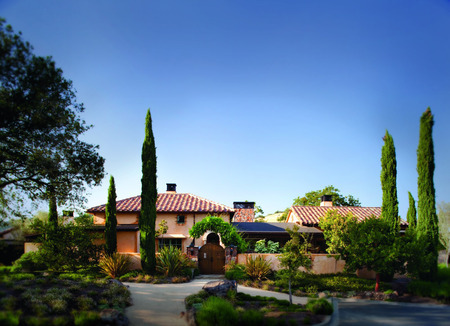 Mayacama is located in the heart of Sonoma County in the foothills of its namesake mountain range, just an hour's drive north of the Golden Gate Bridge. Minutes away is Healdsburg, the charming jewel of Wine Country, while Bodega Bay and the scenic Pacific Coast are as easily accessible as the neighboring destinations of Sonoma, Napa, St. Helena, Yountville and Calistoga. To own a piece of this magnificent life, Mayacama offers two fractional ownership programs: a 1/10 interest for $365,000, which affords three planned weeks, or a 1/5 interest at $625,000 for six planned weeks. Since joining the Timbers portfolio in July 2012, Mayacama ownership now includes membership to the Timbers Collection by bringing Mayacama members access to a worldwide portfolio of exquisite Timbers Resorts properties. Due to heightened demand, Mayacama is planning a second phase of 14 new villas, increasing the villa inventory by 70 percent. The original phase of Mayacama Residences is represented by 20 artfully crafted three-bedroom Villas and nine romantic one-bedroom Casitas that perfectly blend together indoor and outdoor living. Spacious master suites with spa-inspired baths feature large soaking tubs and outdoor showers. Comfortable living rooms gather around a wood-burning fireplace. Outdoor living areas feature relaxing fountains, large covered patios with outdoor fireplaces and sweeping views of the golf course and surrounding hills. Residential Members enjoy all club membership privileges along with a personal golf cart, dedicated concierge services, daily housekeeping, pre-arrival grocery shopping, local transportation service, personal storage and in-residence dining. One of the most exclusive zip codes to live in the world is Pebble Beach, synonymous for its renowned Pebble Beach Resorts and one of the most exclusive private golf clubs, Cypress Point. First and foremost, Monterey County is Pebble Beach and Pebble Beach is golf, made famous by the annual AT&T Pebble Beach National Pro-Am. Originally started by Bing Crosby in 1937 and known as the Crosby Clambake, the tournament now attracts more than 150,000 spectators each year and has raised more than $120 million for local charities. Pebble Beach is Spyglass, the Links at Spanish Bay, Poppy Hills - 20 public golf courses in all. But Monterey is more than the sum of its 470 fabled golf holes and famed 17-Mile Drive. It's got 99 miles of postcard-perfect coastline, crashing surf, Monterey pines bent by stiff breezes and craggy shoreline topped by multi-million-dollar mansions, all shrouded in a trademark fog like it belongs on a movie set. Movie stars, in fact, have been among the legions of rich and famous drawn to this Northern California nirvana. Actor Clint Eastwood first came here in the 1960s, fell in love with the area, and for decades maintained a residence in Pebble Beach. According to Trulia, the median sales price for homes in the prestigious Pebble Beach ZIP code, 93953, was $1,500,500 for the period December 14, 2014 to March 15. This represents an increase of 33.4 percent, or $375,500, compared to the prior quarter and an increase of 18.7 percent compared to the prior year. Meanwhile, sales prices inside Pebble Beach have appreciated 67.7 percent over the last 5 years. The average listing price for Pebble Beach homes on Trulia was $4,340,944 for the week ending March 4. 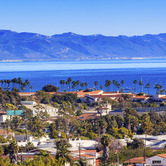 Owning a piece of Monterey real estate is a particular pleasure only the fortunate few can enjoy. Besides its sheer beauty, a home in Monterey also immerses you in the culture of California's heritage, highlighted by the many "firsts" that have happened on the Monterey Peninsula. California's first theater, newspaper, printing press, public school and public library are only a few of the "firsts" to have occurred in the region. Besides golf, there is never a dull day in Monterey. With so much to engage the residents - the casual opulence of the Pacific combined with the gourmet restaurants, shopping, sailing, biking, whale-watching, driving and hiking - it is easy to understand why so many pursue Pebble Beach as a place to live and play. Not far from Pebble Beach high above Carmel Bay is an exceptional low-density custom-home community inspired by actor Clint Eastwood's love of the land. Taking its name from the Native American word meaning "abundance of nature" and nurtured with a reverence for the land, this private 2,000-acre sanctuary is set amidst soft meadows and a great stand of oak. Much like Santa Lucia Preserve, Tehama is another place of discovery, appealing to people who yearn a certain solitude and vastness of property but the conveniences to the buzz of Carmel and Monterey. Eastwood, who developed Tehama, is one such person. Though Eastwood might have first discovered Pebble Beach, his true love now is Tehama, a pristine 2,000-acre sanctuary where only 90 families call home. Indeed, Eastwood has always been smitten by the charming nearby town of Carmel and once famously served as mayor. It was on one of his early hikes up into the hills of Carmel Valley that Eastwood ventured above the fog line and discovered a vantage point offering sweeping views overlooking both Monterey Bay and Carmel Bay. Acres at a time, as TV and movie roles poured in, Eastwood poured cash into buying this rugged hilly land with hopes of preserving its natural beauty in perpetuity. That vision ultimately became Tehama, where the golf is legendary, the service is impeccable, and the amenities are second to none. It's even more exciting when you catch a glimpse of the iconic actor and director as I did one day as a guest of his golf course. The ultra-exclusive Jay Morrish designed golf course, designed along the northern ridge of Carmel Valley at an elevation of 200 feet, opened in 1999 and offers stunning views of Point Lobos and Monterey Bay. The clubhouse offers world-class cuisine, banquet facilities, and a full-service members-only pro shop. Golf club membership is by invitation only and resides as a separate commitment from a real estate purchase. Tehama Golf Club members have access to the golf course, the Social Fitness Center, Callahan's Grill and the clubhouse itself, which sits at the heart of the community. Tehama Golf Club and the Social-Fitness Center are just a few miles from historic Carmel-by-the-Sea, home to world-class restaurants, quaint boutiques and fabulous art galleries. Guided by Eastwood's vision of sustainable development, Tehama has preserved more than 85 percent of its land as pristine open space and was honored in 1999 with the prestigious Golden Bear award for its careful preservation of the environment. 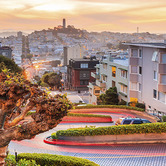 Residents of this upland enclave about two hours south of San Francisco enjoy a life of unparalleled cultural enrichment, sporting enjoyment and natural splendor. 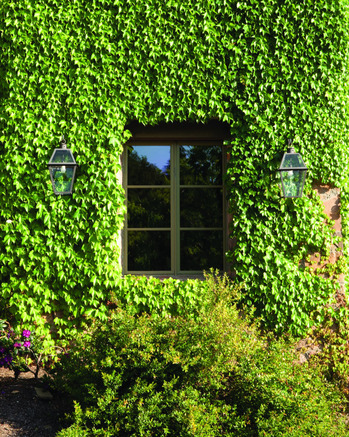 The number of custom home sites is limited to 90 estate lots, ranging from 4 to 17 acres. 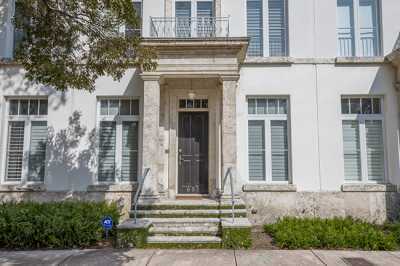 A few custom home opportunities are also available, according to the club. Social Fitness memberships are offered with the purchase of custom home sites (subject to dues and initiation fee in some cases) and includes use of the swimming pools, tennis courts, a community meeting space, top-line cardio and strength training equipment in the fitness center and Callahan's. If anyone needs a reminder that luxury real estate is alive and well, please visit this private residential golf and ski community in North Lake Tahoe where the real estate buzz is palpable. In fact, Martis Camp is coming off a record year in sales, generating $255 million in revenue from 138 property transactions. That leaves the upscale development with just 75 lots remaining from the master-planned 671 home sites, according to a Martis Camp spokesperson this week. "We are pleased to enter the New Year with a great amount of energy at Martis Camp and excited to welcome many new families to our community," Martis Camp general manager Mark Johnson recently said. "As we enter the last stage of sales, our focus is on refining our already robust stable of amenities and programming, and continuing to add new offerings and valuable experiences for our families and club members." 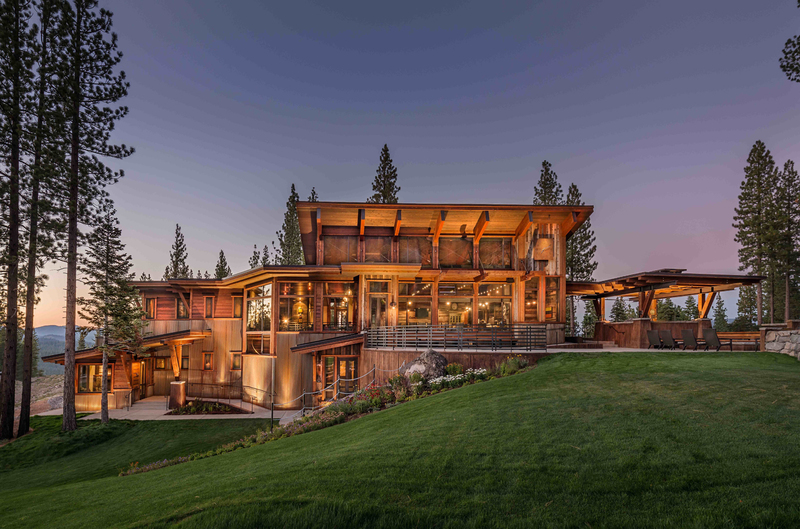 Located in the Martis Valley, Martis Camp's sweeping topography truly represents the finest in High Sierra living. Among the new amenities added to the family-friendly retreat are the Beach Shack at Lake Tahoe and Aerial Adventure Park. 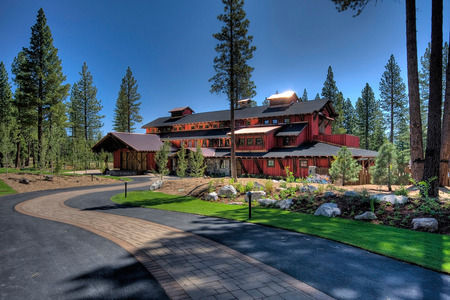 With the opening of the Beach Shack last fall, Martis Camp now offers one of the most comprehensive four-season experiences in the country with private ski lift access to Northstar California in the winter months and an award-winning Tom Fazio-designed golf course and the new Lake Tahoe Beach Shack home base the rest of the year. The new Aerial Adventure Park, situated near the community's Lookout Lodge, is another summer-focused amenity that offers zip lines, events and treetop adventure course for all ages. Lookout Lodge is equally as vibrant with club member activity in the winter months, as snow-sport enthusiasts and novices alike gather to enjoy an impressive array of activities from direct ski-in/ski-out mountain access via the Martis Camp Express chairlift, indoor and outdoor dining with fire pits, ski valet, ski, boot and board storage and ski concierge services. Non-skiers can enjoy other wintertime activities within the community such as sloped and groomed Sled Hill and 12-plus miles of trails for snowshoeing and cross-country skiing. Other impressive resort-like amenities are the Family Barn complex with swimming, a bowling alley, art loft, movie theater, indoor basketball court, soda fountain and outdoor performance amphitheater; an 18-hole putting park; sports fields and pavilions; club day spa and fitness center and vitality pools; Camp Lodge with dining venues and the 26 miles of private trails. Overall, the 2,177-acre property has 418 homes in some form of development, including 115 in construction. Real estate prices range from $500,000 to $2 million for lots and $3 million to $10 million for custom homes.